Posted on May 31, 2013, in Book Reviews, Christian Fiction, Fearless, Frantic, The Last Hunt and tagged family drama, Fearless, finding god, Frantic, Michael King, Moronic book reviews, Negative book reviews, Postivie book reviews, Reading, Review, Short story, star reviews, The Last Hunt, Writing. Bookmark the permalink. 23 Comments. This is helpful to me as a reviewer. I don’t get why people need to be hurtful in their reviews. Just reading the one review and I was ready to give them back their dollar. Makes me wonder if they read over their review. Perhaps I’m a weird freak of nature (a dying breed, my husband tells me), but I believe that we can get something from everything we read–there’s always something to be gained from the experience, and it’s worth more than a dollar…. I agree, Tina. There is something to be gained from every reading experience. What bothers me most is folks who don’t take the time to investigate what they’re about to read and then slam it because it wasn’t what they THOUGHT it was going to be. That’s not the author’s fault. Bravo tinamhunt, and bravo X 2 Mike, for this blog post. A writer pours out his/her thoughts on a PC for days, months, sometimes years; developing story lines and interesting characters, weaving subplots, not to mention the mounds of research. He/she reviews the work for content compatibility, spelling, grammar, word ussage, and much more. Then comes editing from outside their office doors. The entire process is an often lonely, heart wrenching experience. Yet he/she is compelled to do so in the hopes the reader will climb aboard, click their seatbelt and enjoy the ride. And all this for a dollar? What can be bought at the store for a dollar these days? What price can be asked for creative talent? I’ve read Dellosso; his ups and down, sideways jerks and loop-de-loops. I find him to be a mesh of talent and heart. I admire him for standing on his faith while asking the “what ifs”. And Mike, as for that reader who pinched your ego–maybe hurt your feelings–I say stop the ride, let her off, she probably didn’t meet the height requirement. Thanks for your thoughts, Donna. Always appreciated. I’m all for folks having opinions and stating opinions but be intelligent about it. That’s all I ask. It always amazes me how readers can rant about a book they paid $0.99 for or even got for free. I’m sorry they felt their time was wasted, I understand that’s valuable, but to complain about the price. C’mon. At the recent BRMCWC Eddie Jones was saying that some readers actually return books they got for $1…seriously? have we gottne this cheap? It just amazes me where people’s head are. keep doing what you’re doing…you’re doing it right. This is a great post, Mike, and I appreciate your feistiness 🙂 And it’s so true that reading is so insanely subjective. As a writer, it’s difficult to not let that get in the way of the story you have been given to tell. But at the end of the day, we write the story as well as we know how and release it–like a child entering the world for the first time without holding our hand to cross the street. Scary, but necessary. And always a learning experience. Your post was honest and thoughtful – thanks! Yikes, now I feel great guilt for a negative review I just made this week on Amazon for the new book by Owen King. It was short, to the point, I didn’t mention price, although hardcover from Amazon is not cheap. But it made no sense , I did muddle through almost 100 pages and could not figure out where it was going. So I gave up and I said so. Now I feel bad. I also admit, knowing he was Stephen Kings son and Joe Hills brother made me assume I would like it. Pat, don’t ever feel bad for leaving a bad review. If you’re honest and give good reasons it’s worth the review. Constructive criticism is always appreciated! I have read the first two revews you referred to. I don’t get it. If these are the reviews I think they are, did you hit the button that says see all my reviews? Some of these people it is the only book review they have written. I have done this on several occasions and some also only write negative reviews. I believe they think they are some kind of critic and cannot possibly write a good review. I read one review where the person said this is the first book I read by this author having not heard of him until now. 3 long paragraphs later she mentioned reading another book by this author. I don’t get it. Then there are the readers that love a certain author and wouldn’t write one thing negative about that author, no matter what. I may not write great reviews but I am honest without being rude. As Tina said, this was really helpful to me, as a reviewer! I really enjoyed the article. 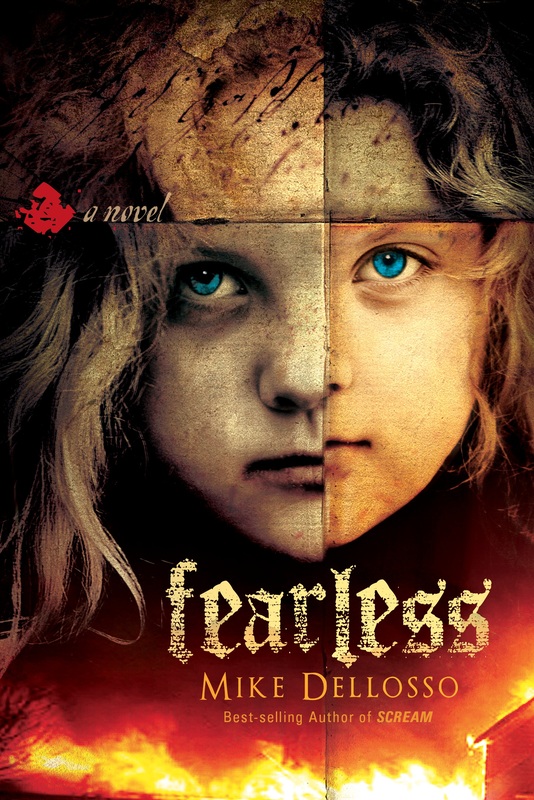 On a side note: I’m reading (almost finished with), and will be reviewing, Fearless! BTW, I loved the bittersweet message of A THOUSAND SLEEPLESS NIGHTS. Lois, fair is all I or any author asks for (as you know). Thanks! Good post, Mike. One of the first reviews of Angelguard had this title: “awful; melodramatic dialogue, silly plot; avoid!” and was a 1/5. I expect he would have given it a 0 if Amazon allowed it. The reader could only get through the first 40 pages. It hurt. But I soon realised reviews often say more about the reviewer than the reviewed. And the novel won’t appeal to many people. It was also a good exercise for me to learn to ‘let go’ & not allow it to discourage me. Ian, you are so right that reviews say more about the reviewer than the reviewed. Also, I think Amazon has an avenue where authors can challenge poor reviews and request they be taken down. I’ve never gone that route and don’t know if it’s a viable option or not. Thanks! Needed this. The ones that hurt me are the ones that are outright lies, just mean-spirited by obviously mentally ill people who are off their meds, or ones that are–I guess, less than a lie, but written about something that they don’t get? Like, claiming spelling errors when there’s dialog, or when there are house rules from an International publisher? Real reviewers understand those things and take them into account. And yes, it reflects on the reviewer, but when stated with authority, other readers might actually believe it. And really, yes, one must get over oneself. Agreed, Lisa. The ones that get you scratching your head, wondering if the “anonymous” reviewer even read the book are frustrating and annoying. But about getting over oneself. I think most authors are not too big-headed to take a poor review on the chin if the review makes sense. If it states legitimate reasons and offers constructive criticism that’s okay. It’s the ones that are just unfounded or ignorant that bite, not so much at the pride, but at the sense of fairness. Also, what annoys me is the fact that it is so taboo for authors to confront or challenge a poor review. Why can’t we? Let’s have an intelligent discussion. Unfortunately, it only makes the author look like a poor sport. This isn’t right. This is helpful to enable a writer to keep a healthy perspective and also points out how powerful are our words for good or ill. Reviews are valuable to an author; reviewers shouldn’t waste their time if they aren’t trying to be helpful in some way to the reader or the author. Thank you for sharing. You got it, Rose. Maybe more thought needs to be put into reviews, especially the poor ones. I particularly like your classification of reviews. Could be adapted for advice people offer, compliments, and even gossip under the guise of “reporting of information”. I was guilty of being an abusive reviewer once and once only. I objected to the author taking so much poetic licence with biblical doctrine that I got personal and criticised his writing and talent despite me loving the novel apart from that issue. I reacted to him having a born again believer leading a fallen angel to salvation and then God restoring him to his angelic state!! I just felt that this was an insult to God and His way of doing things and that a non believer who was reading that would get a warped and totally mislead view of God and salvation. The author contacted me, (we were on the same book site) and asked me to explain. I did. He asked me if I felt it fair for me to become so critical of his writing also attack him personally. I was so convicted that I realised I was wrong. I apologised and he then explained to me why he did this in the story. He knew that bit would be controversial and was expecting some flack. We have ended up good friends and I have modified my review since that discussion. I learnt a lot from that situation. About myself, about authors, about writing reviews. What improved my reviewing style was your guide on writing reviews, Mike!! That needs to be reissued and now would be a good time to do this!! LOL. I now have more respect for authors as people and myself as a reader and reviewer. This has also led me to support them and encourage them. I totally agree with everything you have written here, Mike. Now I would be the first one to go into defence mode of an author if a reviewer was playing dirty in their review. I have on occasion done this and man, does this bring out the dark side even further of the reviewer, despite me not being in attack mode or emotional in my defence of the book and author but just sticking to the facts! !